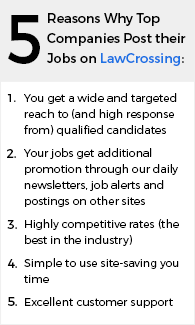 Job boards are the most effective tools for communicating open positions to job seekers. Irrespective of the increasing use of social media for reaching out to potential candidates, job boards are still the most preferred option for job seekers looking for suitable jobs. Hence, drafting apt job postings is important to the success of your recruitment efforts. Use precise job labels: You need to understand that the more definite the job name is, the higher is the probability of your receiving more relevant resumes. Hence, in your job postings, use job titles that are often used in your industry. Stay away from using fancy titles that sound good but are relatively less known and maybe even ambiguous. Titles such as “great communicator” or “appealing actor” should not be used unless you really want such people in your company. Enlist essential skills and qualifications: Job seekers frequently read through job postings very quickly and move from one posting to another in a flash. Hence, it is important that you specify all the required skills, experience, and other qualifications that you are seeking in the potential candidates in an easy-to-read manner; the use of bulleted lists often helps to achieve this. Use appropriate keywords: In today's world of online search where people prefer to use a keyword-based search to narrow down the list of job postings to browse to, it will serve you well to use relevant, precise, and popular keywords to increase the visibility of your job posting. Introduce the company culture: Job seekers today are not just looking for a job that pays well but they are looking for a work culture that they can relate to and they would be comfortable with. Therefore, briefly describe your company's work culture and its focus on employee growth in your job posting. Finally, run a spell and grammar check on the final copy of your job posting before you publish it online. The last thing that you want on your job posting is silly grammatical mistakes that give the job seekers a mistaken impression that quality is not a top concern at your company. Social Media for Attorneys: Friending or Foeing?